A new report on the link between forests, food and nutrition highlights the important roles trees play in the dual challenges of ending hunger and addressing climate change. 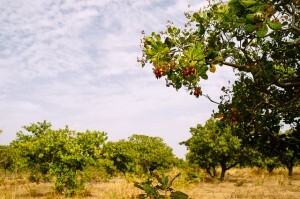 According to the World Agroforestry Center (ICRAF) this is the most comprehensive scientific analysis to date on the interactions between forests and food. The report, an initiative of the International Union of Forest Research Organizations (IUFRO), was launched during the 11th session of the UN Forum on Forests (UNFF). It outlines the potential of forests to improve food security and nutrition, and to ensure the livelihoods of the world’s most vulnerable people. At the UNFF, Peter Holmgren, Director General of Center for International Forestry Research (CIFOR), delivered a joint statement on behalf of CIFOR, IUFRO and ICRAF. All three serve as focal points for scientific knowledge in the Collaborative Partnership on Forests. He committed “to work together on a joint forest science–policy interaction platform” to support the UNFF and International Arrangement on Forests. Public sector, private sector and socio-cultural response options. A number of other scientists from the Centre have contributed to these and other chapters in the report. The BBC covered the report in a comprehensive article titled Forests are ‘key feature’ of food security landscape.